When you first become pregnant, or you begin trying to conceive a child, you likely put a lot of thought into choosing your obstetrician, midwife, doula, or other trained professional to assist you with your health and giving birth. With such an important part of your life on the line, you didn’t want to choose just anyone – after all, connecting with the right professional can make your pregnancy a beautiful, stress-free experience, and make the day of birth joyful rather than scary. So when your baby is born, it just makes sense that you would also put the same care into choosing the right pediatrician. But this time, it’s not just about who makes you the most comfortable. Hopefully, you’ll be able to find a doctor that your child will see all the way until they are an adult, so it’s important to choose a doctor who will make your child feel comfortable for many years to come. Before you walk into the first pediatrician’s office you find, here are some things to keep in mind. The first step is to narrow down the field by finding out which pediatricians your insurance covers, and which are located close enough to your home to make regular visits less of a burden. When you have a newborn, you’ll be going to the pediatrician monthly at first, and if your child gets sick later on, you don’t want to deal with a long car trip to get to the doctor. You might also want to investigate the co-pay practices of pediatricians covered by insurance – for example, some pediatricians allow parents to choose an alternative vaccination schedule that leads to more visits, and a co-pay is only required for part of these visits. Check out the office hours, and how emergency appointments are handled. Find out what kinds of policies are in place for house calls, walk-ins, and various other “what if” situations. Ask what hospitals the pediatrician works with, and be sure that their preferred emergency services provider takes your insurance. You may find that you eliminate quite a few choices based on availability that just doesn’t work with your schedule or lifestyle at all. For the next several years, your pediatrician is the next step after your obstetrician’s work is done. They’ll guide you through the parenting questions and interests that you have, working with you to create the early childhood years that you’ve dreamed about. For this reason, it’s important to look for a pediatrician who has expertise in the areas you are interested in. Make a list of anything you are interested in, such as co-sleeping, specific types of diets, attachment parenting, etc. If you want to do your homework before talking to the pediatrician, start by searching for the pediatrician online, and looking for any publications they might have written, or any professional boards they serve on. You can also look at patient reviews, which may include information related to things you are interested in. Try looking up a local Facebook group related to your parenting interest, and asking which pediatricians they use. While it’s hard to foresee what your child may be interested in as they grow older, it may be a good idea to choose a pediatrician who has experience with sports medicine, for example, if you are a very athletic family, and plan to introduce your little one to sports at an early age. If your family eats a specific diet that isn’t aligned with a standard American diet (such as vegetarian, for example), you may want to choose a pediatrician that has experience with diet-related health. Once you’ve narrowed down your options based on insurance coverage, physical location, and expertise in areas you are interested in, the next step is to get a good background on the pediatrician and their practice. First, find out what type of certifications they have. Look for a certification from the American Board of Pediatrics (AAP or FAAP), and/or a certification from the American Board of Family Medicine (ABFM). Then find out how long they have been practicing, and if they are a part of any group practice activities. This is important, because if your child is sick and your pediatrician isn’t available, you may be seeing one of the group partners instead. Be sure that you have checked out all the doctors in the group in this case. While it seems like a personal question to ask, it’s okay to find out if the pediatrician has children themselves. While having children isn’t an indicator of being a great doctor, it may make you feel better to know that you are getting help from a fellow parent. When choosing the best pediatrician for your child, the staff isn’t always a major concern for many parents. After all, staff can change. Patients tend to follow doctors, not specific practice groups, so nursing and administrative staff may not be the same throughout the years. However, it’s probably safe to say that you’ll be seeing the same staff for at least the first few months – and if you’ve done your homework and chosen a pediatrician with a solid history in their practice, it’s probable that their staff will be the same for quite a bit longer. Nurses are often responsible for giving vaccinations and are usually your first line of help when you call in with a sick child. So it’s just as important to “click” with the nursing staff as it is the doctor. Be sure that you spend some time talking to the nurses, and ask the pediatrician how often the nursing staff turns over. This step takes a bit of imagination but, consider how your child may feel as they get older. 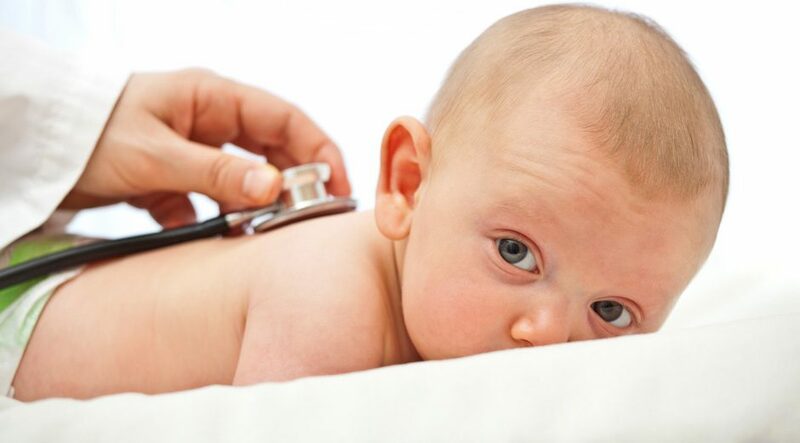 Typically, a child will see their pediatrician until they reach adulthood, or at least until their teen years. This means that they may have to discuss “embarrassing” health problems with their doctor at some point in their lives. Many children feel more comfortable talking about uncomfortable topics with women because the figure feels motherly, but your son may prefer to speak with a man instead. Ask your friends with older children for recommendations for doctors who have put their children at ease. Social media is a great place to start. There are many groups and forums dedicated to parents that are full of great information about local pediatricians. Look at the surroundings when you enter an office. Try to find a pediatrician that is clearly focused on keeping children occupied and interested. Child-friendly diagrams of bones on the walls, for example, and furniture that is scaled for children, are great indicators that an office has a child-first focus. Look for a waiting room that keeps sick children separate from healthy children, and an entire office that is kept clean and organized. If your family follows a specific religion, you may want to choose a pediatrician who shares your beliefs. Our spiritual beliefs can greatly affect our health care choices, so having a shared background can make it much easier to start off with the same assumptions about proper care. Sharing a similar ethnic or racial background can also make it easier for your child to talk to their doctor as they get older. All humans, but particularly children, often feel more comfortable sharing their private information with someone they identify with. Additionally, your ethnicity may make a difference in the types of health care choices you make, your diet, and your lifestyle, all of which are more easily understood by someone of the same ethnicity. Certainly, this isn’t a requirement for choosing a great pediatrician – all pediatricians, regardless of ethnicity, race, or religious background, receive the same great training in school. Finally, it’s important to not wait until your child is born to choose a pediatrician. Doing your homework before the big day is essential for making the first few days, weeks, and months of having a new infant much less stressful. If you find the right pediatrician before giving birth, this doctor will be at the hospital to give your baby their first check-up, and will be the doctor who performs circumcision or other procedures. This is just as important for the doctor as it is for you and your child. When a pediatrician is part of your child’s health care from the very beginning, they are able to provide better treatment throughout the child’s entire life. They will already know that your child suffered slight jaundice at birth, or understand that your child has struggled with asthma since toddler-hood. This type of knowledge is vital for keeping a child’s health at optimal levels. Use the same detective skills you used to find your first pediatrician. This time, focus on a doctor that will fit your child’s activities and personality. Be sure you’ve kept very detailed medical records, and be prepared to spend some time during the first few visits talking a lot about your child’s history. Don’t worry about any awkwardness with your old doctor. The healthcare industry is a constantly revolving door of patients, and most doctors would prefer that you find the best provider for your needs, rather than continue to see someone that doesn’t fit your child or your family. Consider making a lateral move to a partner if the switch was due to your pediatrician moving or retiring. Their practice may include other doctors, and by staying in the same office, your child may feel more comfortable – and you don’t have to worry about getting files transferred. Remember that you (and later, your child) are in control of your child’s health care. Don’t be afraid of making a switch if it feels like the best move. As you can see, there are a lot of things to consider when choosing a pediatrician. From the practical concerns about availability and insurance to finding a doctor who is certified and experienced in areas of parenting you plan to explore, to finding someone you think will make your child comfortable for many years to come, you have a lot to think about. If you live in a small town or a rural area, you may have already limited your options down to a single doctor, just based on availability. However, if you still have several options to choose from, you may be forced to go with your gut. If you’ve gathered reviews from family, friends with children, or social groups that you are a part of, and you don’t have a specific doctor who stands out from a crowd of excellent choices, consider yourself lucky! This means that you can rest easy knowing there are other great options to choose from if you ever need to change pediatricians for any reason. At this point, you must simply go with your gut. When you wake up to a sick child in the middle of the night on a Saturday, which pediatrician will you feel most comfortable calling? Who do you trust to give you plenty of information in a way that you can easily understand? Whose staff made you feel most welcome when you were visiting and asking questions? If you and your spouse are stressed over the decision of choosing a pediatrician, remember that all doctors went through rigorous training in medical school and that all certified doctors went through even more special training to meet the needs of children. As long as you are choosing a pediatrician that meets most of the needs you have, you won’t choose wrong.